Inside this Post: Few things make you second-guess your parenting skills like seeing your child hit another kid on the playground, or take a bite out of their arm at soccer practice. Tips to stop a child from hitting & biting. 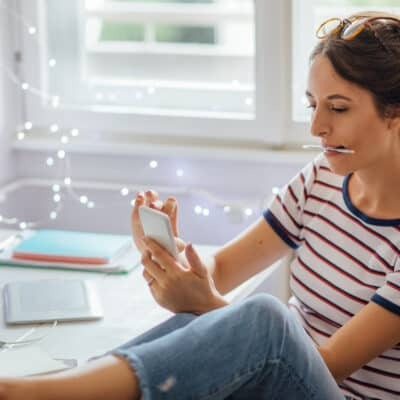 As mortifying as these bad behaviors are, they’re also not uncommon at this developmental stage, and they also aren’t an indication of your parenting gone astray. Hitting and biting doesn’t mean your child is a bully. It also doesn’t mean you’re a bad parent. Here’s what’s behind hitting, biting and aggressive behavior in young kids, especially toddlers. Children between the age of 18 months and 3 years learn how to express their needs and big emotions with crying, shrieking and resorting to physical means such as hitting, biting, pushing and aggressive reactions. At this age, they’ve eager to assert themselves, communicating what they like and don’t like, sometimes in inappropriate ways. 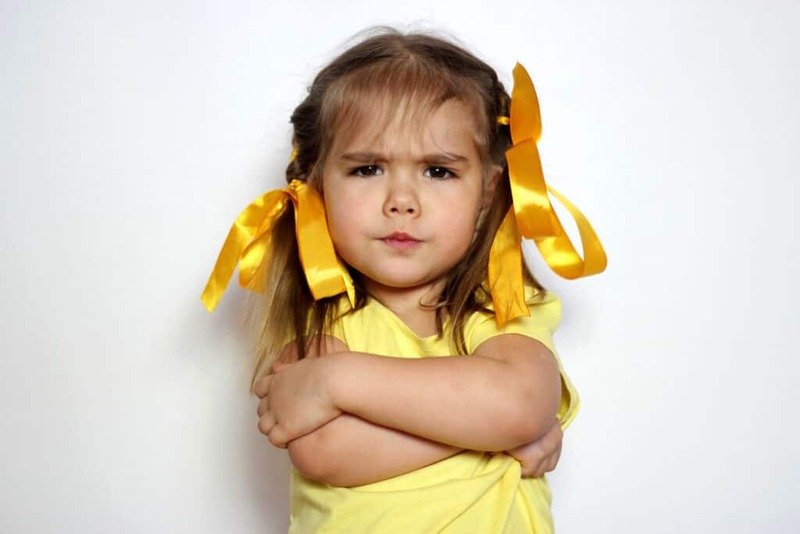 With limited self-control at this age and ability to regulate their behavior when it’s on the brink of turning aggressive, kids are more likely to “show” than “tell” what they’re thinking and feeling. Ever since children were babies, they’ve used their mouths to explore their world. Think back… how often did your babies put their hands in their mouths, toys, food, and anything they could get their hands on? Babies turn into toddlers who lead with their mouths, whether that’s sucking their fingers or biting Mom’s arm. Now, that’s not to say it’s OK for them to bite, but aside from coping behavior carried from when they were babies, biting can also inadvertently be normalized during playtime without you realizing it. When you play bite or act out nibbling games at home, and sends toddlers a mixed message that these actions are OK with others too. It’s best to avoid these playful games and scenarios with your toddler, at least until they’re past the age of leading with their teeth and can reason that this isn’t appropriate behavior. WHAT CAN I DO WHEN MY CHILD IS HITING AND BITING OTHERS? The way you react to a child’s lashing out is the key to nipping it in the bud. Setting clear rules for appropriate behavior with consequences for breaking the rules every hit he or she hits or bites, will teach there’s no excusive for hurting another person. Toddlers are constantly testing out behaviors to find the cause and effect, even if it’s inappropriate. It’s always best to intervene and curb aggressive behavior now, before it becomes a bigger problem. As the parent, you know the signs of when your child is getting ready to use aggressive behavior and can stop him before it intensifies. Step in when you see your child getting worked up, or heading towards another child with the intention or hitting or biting. Kid’s don’t know how to properly express themselves at this age, but when you step in, you can give them an opportunity to share their feelings with words in a peaceful way, and without resorting to using physical means. If you see your child acting aggressively – hitting, biting, smacking or spitting – you know it’s time to step in and stop the behavior immediately. Put the child on a time-out (the rule of thumb is one minute of time out for each year old your child is) or send them to a calm down spot to cool off for a few minutes. 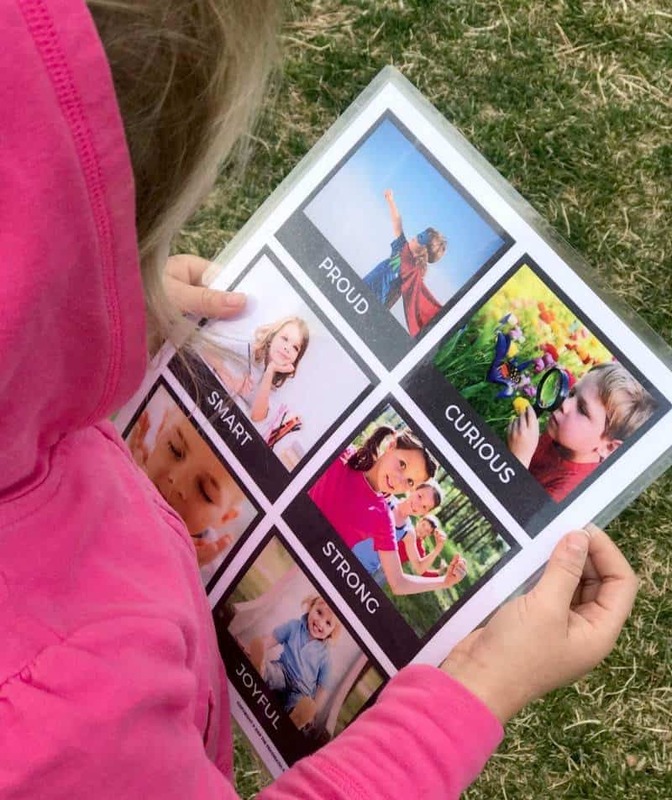 Pro Tip: We use these exact calm down cards at our home which gives kids the tools to chose a calm down method. First, you need to pinpoint where the behavior happens most frequently. At home? Grandma’s house? Daycare? With a babysitter or person, they’re in the care of or near? What is the common denominator when it comes to frequency of aggressive behavior? If hitting and/or biting only happens in one environment, or with one specific person, you need to zero-in on what’s triggering the behavior. Feeling out of control (surprises and not knowing what comes next in the day, makes kids feel out of control and leads down the road to power struggles and misbehavioras a way to cope with the feelings of being scared, fearful, unprepared, etc. Analyze what leads up to the misbehavior as well by observing the environment factors such as being too tired, overstimulated, hungry, missing nap, it’s a transition period, or other stressors. Keeping a daily routine for kids is important to managing behavior and making kids feel not only safe, but confident when they know what the day looks like and what comes next. Routine cards are a wonderful way to help kids remember what comes next, whether it’s for the morning, bedtime or an entire day. 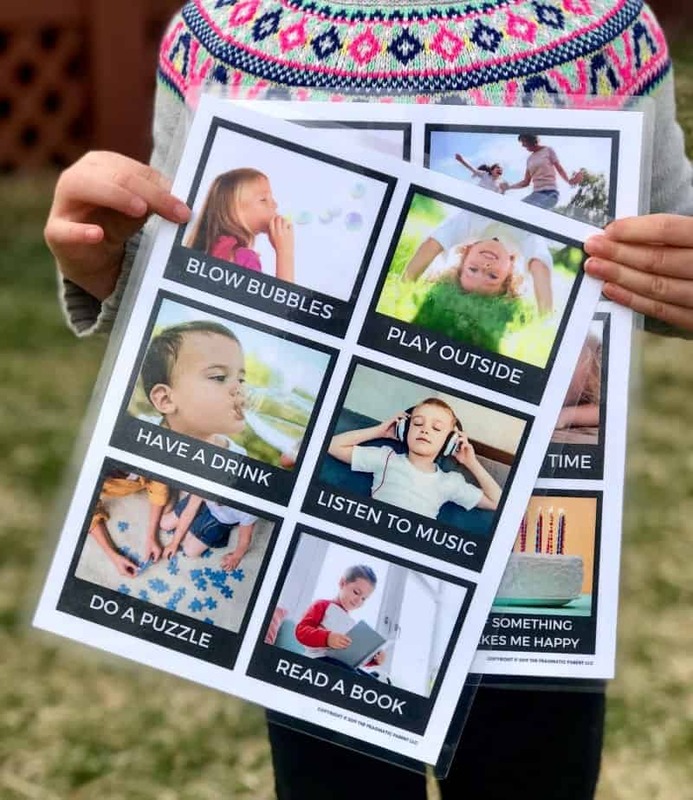 My kids use these routine cards (the girls have these and my son uses these routine cards) which I had printed and laminated. Every day we put them in order for the day so they know what the schedule looks like as well as what age-appropriate chores they need to finish before dinner. No nagging or reminding them of what comes next because all they have to do is look at their cards and move to the next part of the day. Stress and fears are triggers which show up in kids who exhibit aggressive behavior. 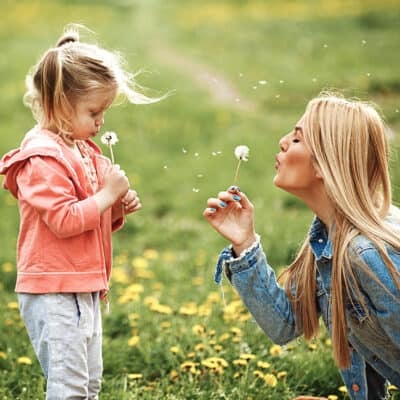 It’s time to look at your environments to see if there are any big stress factors contributing to your child’s behavior, as well as triggers that make them afraid, scared, anxious, worried or fearful. Kids often become aggressive when they’re defending their belongings. Toys and play spaces can be triggers for little ones who don’t have impulse control when it comes to sharing or another kid grabbing their toys without asking. The easiest way to diffuse these situations is to distract other kids with another toy or game until your child is ready to relinquish a toy or two. Ask your little one learns conflict resolution, sit back for a second to see if the kids can resolve the dispute on their own. If they can’t, and it looks like it’s going to escalate, you know it’s time to step in. The best way to help a child, is NOT by matching his emotions with equal intensity. To help your child calm down, speak calmly and stay in control. Kids often think that any attention beats no attention at all. So, if you lose it with your child over their behavior, you feed the attention monster and trigger an alarm inside your child that when they want your attention (good or bad), all they must do is hit, bite, spit, etc. The behavior will persist if you react with harshness.